you read my previous notes (and you had access to a version in your mother tongue), then you engaged some foreign advisers to make yourself look good internationally and then you hired some domestic advisers to show you how to play dirty. However, you never called and offered me a possibility to provide you with more assistance. 1. It is difficult. It is harder than challenging classic authoritarian rule. Srdja Popović provides some good and humorous advice on toppling today’s dictators, but much of it does not work in removing the Balkan prince. 2. Getting them caught. The “eleventh” rule for the Balkan prince is “Don’t get caught” (see here) is a key lesson for those seeking to remove them. Much of the mechanisms of staying in power rely on everybody knowing them, suspecting them, but lacking hard evidence beyond personal anecdotes. Hearing your Prince and his aids talking about citizens like cattle, manipulating elections, courts, media and threatening the opposition is potentially destabilizing. 3. The Balkan prince is often quite popular and thrives on mobilizing a supposed “silent majority”. The prince will often use populism to make sure that he has strong backing and he will campaign continuously. To challenge him, you need to show the citizens that he does not have the “silent” majority behind him. Just basing opposition on one group (i.e. students, city dwellers), will not be sufficient to build a strong movement. 4. Reclaiming the public. The Balkan prince will control the media not through direct censorship, but subtle pressure (controlling media through advertisement, targeted pressure). To challenge the prince, you need to create a public sphere, and the internet wont do, as its reach does not get to the citizens who are the most loyal voters. 5. Challenge external support for the Balkan prince. The power of the Balkan prince rests on external legitimacy. As long as external actors, such as the EU, remain silent or lack a clear language (here and here), the power of the prince to claim of external legitimacy will help him. In fact, he might use this to discredit the opposition and present himself as the only guarantor of stability and Euro-Atlantic integration. To challenge the Balkan prince, make sure to secure external backing, but careful to much backing might make you vulnerable to accusations that you are foreign agent. 6. Offer an alternative. The Balkan prince will be happy with the message that everybody is the same, equally corrupt, power-hungry. As long as citizens believe that there is no fundamental difference, why chose new leaders, they will steal even more than those who already have stolen enough. 7. Don’t accept his terms of the debate. He will seek to convince the public that he is more patriotic than you and more reformist and more European than you. Don’t try to be more patriotic (i.e. nationalist) then him. Change the framework to one you can win (unemployment, poverty). 8. Pick winnable and popular battles. As Srdja Popović notes, it is important to pick a battle (here, and here) with the prince you can win and that can energize the public. 9. Win elections. The only credible place to defeat the Balkan prince is elections. As their rule claims to be democratic, it is difficult to challenge them in social protests alone. Without an electoral challenge, they can wait out protests and win elections. While the prince has made it harder to defeat him, he still has to win them and has limited leeway in manipulating them. 10. Block the ethnic card. Balkan princes will want to play the ethnic card, antagonize and polarize to shift attention away from the real issues. You need to challenge the ethnic card, not trump it. This means building cross ethnic coalitions and recognizing that most citizens don’t are much about ethnicity, given a chance. To the challengers of the Balkan prince, good luck, and don’t forget to not use the powers you might inherit for your own advantage, they are tempting. If you do, you will become just another Balkan prince. Even though the protests in Bosnia in February did not last and few (if any) of the demands were met, smaller protests have continued and recent large student protests in Macedonia demonstrate that even the regime in Macedonia is not immune from popular discontent after years of small-scale protests. The protests show that representative democracy in recent years has not served citizens in the Western Balkans very well. Strong control by incumbents has made change difficult. Aleksandar Vučić saved children from snow storms, commanded thousands of volunteers to save Šabac and other heroic deeds, like not sleeping and work while other slack. This brought his party an unprecedented victory for any party in post-1990 Serbian politics. However, any regime relying so much on one person will be fragile. A recent poll (not sure how reliable, but surely indicative) suggests that 80 percent of potential voters for SNS for the party because of Vučić. After more than six years of economic crisis, the situation is become more dire as there are no immediate prospects of improvement and governments in the regions have not been able to set a clear path for economic development after the crisis. Nowhere is this more visible than in Croatia, where the current government seems to have hoped on EU membership to solve the economic ills, with few effects. A free press has not fared well this year. Instead, slander and insulation are doing well. Informer and others like it are good to find out whom the governments want to target, but make for bad news. Reading between the lines is getting to be more important again, as the main news are not written in the lines. While the flag carrying drone added a new dimension to provocations in football stadiums, but it could have been managed and calmed by political elites. However, neither in Serbia and Albania did governments manage the incident well. The result became a crisis of relations that had been rather marked by their absence. World War One did not figure prominently in national narratives in recent year. World War Two, wars of Independence or the most recent wars overshadowed the “Great War” in terms of public interest. However, this did not stop for a lot of nationalist posturing during this year. This functioned in symbiotic relationship with the generally strongly national commemorations across Europe and rather patronizing efforts to commemorate the war in Sarajevo this year. Businessmen from China, sheiks from the Emirates have become more visible in the Balkans. These are promising new rail links, new urban developments and air links. Much of what has failed to come from Western assistance seems like it could be accomplished from elsewhere. On what terms and whether the wild dreams will materialize remains to be seen. Russia began as a good friend to Serbia (and the RS) 2014, but after (surely not because) Putin got rained on his parade, he dropped South Stream, notifying his friends via the media. While Germany recommitted itself to the Balkan enlargement, the EU approach is lukewarm. With mixed signals, enlargement is being pushed down the agenda in the EU and the region. Yes, the process continues, but whether it will remain on track remains uncertain. The latest war in Europe is not in the Balkans. The newest border changes are neither. They both draw attention away, yet also cast a shadow. What the repercussions might be for the region is uncertain, but is hard to imagine that it will pass it by. As hundreds of people flew to Sarajevo to participate in a plethora of conference and workshop that are strangely attracted to the city this year due to an unfortunate anniversary this June, rains have flooded the countryside, winds made landing at the airport nearly impossible and reminding a casual visitor that Sarajevo’s connection to the rest of Europe is at time precarious. 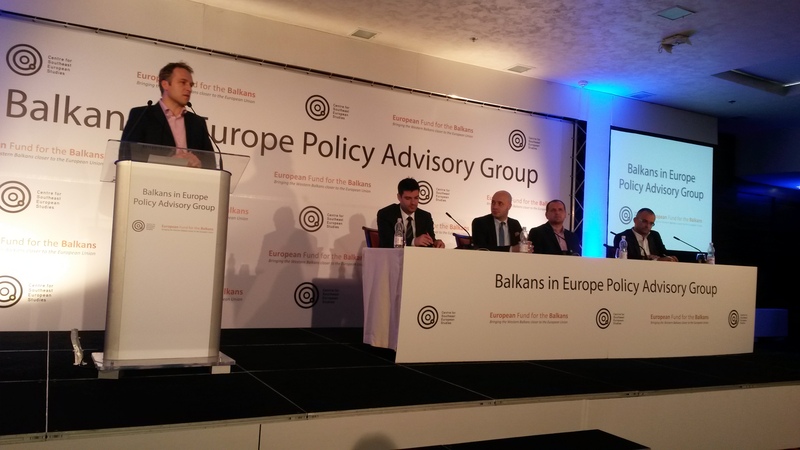 A good time to present the latest policy report and briefs by the Balkans in Europe Policy Group. After meeting in Graz, Belgrade, Zagreb and Brussels over the last six months, we could finally present the paper and two policy briefs. In the paper we are looking at four scenarios in which the EU integration process might develop, one continuing along the current path, one with the process descending into stagnation and alienation of both sides, one where outside power start coercing or luring countries away from the EU and finally an option where the EU reenergizes the enlargement process, a Balkan Big Bang. We had an interesting discussion in the framework of the AGA 2014, an annual big conference of European foundations. As one would expect, the audience was mostly from West European foundations and while some clearly had a positive view of the need for EU integration to continue or rather be accelerated, I was struck by the skepticism coming from some audience in the Q&A. The countries first have to deal with their problems and then we can talk about joining, the previous enlargements were a mistake and we first have to sort out the EU, it can’t be bothered with enlargement were three key concerns expressed by some in the audience. It just highlights that is will be an uphill struggle to convince citizens and member state to continue enlargement. Reblogging my post for the Balkans in Europe Blog on the risks of EU enlargement falling of the EU agenda. Not long ago, the DG for Enlargement moved to a new address, from 200 to 15, Rue de la Loi, Brussels. What seems like a question of logistics, not policy, matters. Never in the past twenty years has enlargement fallen to such a low priority for the European Union. The old address of the Directorate General for Enlargement was the Berlaymont, the centre of the Commission—symbolizing the centrality and importance of the enlargement process for the EU. Now, it is housed in a non-descript office building a few hundred meters away. This symbolic removal from the center of EU and the Commission’s headquarters is not just a coincidence, but reflects the problem of enlargement. Although the EU is in accession talks with three countries (Turkey, Serbia and Montenegro) and four more are waiting to start talks, the DG is a shadow of its former self. The atmosphere of decline was reflected in recent months in rumors circulating that the next Commission might not have a Commissioner solely responsible for enlargement. This would be for the first time since 1999 that the EU would not have dedicated enlargement commissioner. Such a scenario seems somewhat unrealistic, considering that there is a need to have 28 Commissioners, one for each member state and thus, enlargement will probably stay on. The question is, however, whether this will be filled by a forceful commission pushing the agenda, or not. Judging the by the gradual decline of the profile of the enlargement portfolio over the past decade, the signs are ominous. This sense of decline is also reflected in key member states. Popular support for enlargement was never particularly high and governments have pursued it despite their citizens’ skepticism. The latest Eurobarometer puts a clear majority of EU citizens against enlargement (52% over 37% for) with number around 70% against it in France, Germany and Austria. The highest level of opposition to enlargement is in Austria with 76% against (and 16% for). While Turkey is certainly the bête noire of enlargement, opposition to having Kosovo, Albania and Serbia join are not significantly lower. These numbers have been steady, at least since the beginning of the economic crisis. However, in recent years numbers have been particularly high and amidst broad dissatisfaction with the EU and governments due to the economic crisis, governments have been more responsive. The Austrian coalition agreement from late 2013 for example remains committed to towards EU enlargement in the Western Balkans (as opposed to requiring a referendum for Turkish membership). In addition to the accession criteria, the new/old Austrian government emphasis the ability of the EU accept new members as key criteria for membership, a clause that can be used to easily delay further accession. The German government has followed a similar line, keeping the door open, but while noting the ability of the EU to join, it also underlined the need to strictly enforce the member ship conditions, in effect signaling a strong monitoring by individual member states. While the statement implies that enlargement is not complete, this is not spelled out and the unification of Europe appears already done. At best, this declaration could be taken as the German government viewing the enlargement to the Western Balkans as a done deal, even if not technically completed. At worst, it is a sign that there is no real support for enlargement which continues below the radar as a low level process and is used to reward individual countries, but not as a strategic vision. Recently the UK, conventionally a strong support for enlargement, has taken a sharp turn against enlargement. In his comment for the Financial Times, PM David Cameron threatened to veto further enlargement if labor mobility or he and the tabloids term “benefit tourism” is not restricted. Other governments have shied away from such a populist used of enlargement, but this approach might become attractive after the EP elections when Eurosceptic Parties are likely to take a much larger share of the vote than they have to date. While enlargement is going on as a process managed in Brussels, for most member states, it seems to be out of sight and mind, or at least at the margins. This could be seen as a pragmatic and maybe also helpful approach to keep the process ongoing when publics in the countries have grown weary of countries joining. Yet, enlargement through the back door will become tricky as citizens are ill prepared to accept the next enlargements, and as a number of countries will not need ‘just’ enlargement, but a more comprehensive EU engagement to overcome their domestic or bilateral difficulties. As member states have become more involved into the accession process and claim their right to scrutinize the candidates independently from the Commission, there is the risk that the already slow enlargement process will be even further kicked down the road. Although it might not be the most popular post in the new Commission (if it indeed remains one), enlargement will be a place for a Commissioner to leave a mark and revive the process. The significance might be easily overlooked now, but if the EU cannot complete enlargement and transform the countries of the Western Balkans, the credibility of its transformative power is seriously jeopardized. Here is the English version of a comment I wrote for the Neue Zürcher Zeitung called “The Authorititarian Temptation in the Balkans”. It draws on an article (co-authored with Irena Ristić) and a book chapter published in 2012. The Serbian elections 16th March end a year of political speculation. These are already the seventh early parliamentary elections since 1990, they are unnecessary as there was no government crisis ahead of them being called. The coalition government consisting of the Serbian Progressive Party (SNS ) of Aleksandar Vučić and the Socialist Party (SPS ) of Ivica Dačić was stable and had a solid majority . However, SNS wanted elections to translate their popularity into a large parliamentary majority. In 2012 SPS could still bargain hard to obtain the post of prime minister. Today, this is hardly imaginable. Although the SNS is unlikely to be able to govern on its own after the election, it can determine the shape of the government. The early elections are an example of the authoritarian temptation of governing parties in the Balkans, weaken the rule of law to secure their own dominance. Regular studies of the Bertelsmann Foundation and by Freedom House show, that a particular type of democracy has taken hold in South Eastern Europe: elections are democratic, the political landscape is diverse, but populist and corrupt governments hinder the consolidation of democratic structures. Most post-communist countries in Central Europe developed into consolidated democracies. In the South Eastern Europe, however, was intermediate form dominants, the democratic formalities be observed, but at the same time, populist parties control the state through patronage structures. This is particularly evident through the dominance of political parties over the media, the state and the weak rule of law. The election campaign had not yet begun in Serbia, as the Serbian Deputy Prime Minister Vučić saved a child stuck with its family in a snowstorm on the highway from Belgrade to Budapest. Conveniently, the state television on hand to film it. While this ‘performance’ was quickly mocked in social networks, the message got through : Vučić rescues children, while others go campaigning. Not only in Serbia have governing parties used their dominance to engage in a continuous election campaign. Even when elections are not upcoming [this was written before early elections were called in Macedonia], the ruling party of Macedonia, VMRO-DPMNE constantly advertise their successes on billboards and in advertisements. Due to this non-stop campaign by governments, it is difficult for the opposition to formulate alternatives. 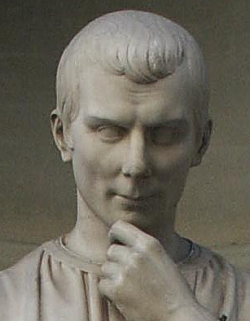 In early elections governing parties already have a decisive edge. A second aspect of the authoritarian temptation is reflected through control of the media. Only a few critical media of the nineties have survived the past decade. The economic crisis and the state as the most important advertiser to have resulted in a media landscape in the region in which critical voices hardly find a place. This is particularly pronounced in Montenegro, Macedonia and Bosnia. In Macedonia all important critical media, such as the private channel A1 have been forced to close done and only few journalists dare to openly criticize the government. In Montenegro, there is often to attacks by “unknown” perpetrators against independent media. In Bosnia is the businessman and media tycoon Radoncic to became security minister [he was dismissed the day the article was published], despite persistent rumors of his contacts to the underworld. In the Republika Srpska the media is local President Dodik, criticism is only aimed at against the opposition, “Sarajevo” and foreign powers. In Serbia, only few media nowadays dare to openly criticize Vucic. Media loyal to the government, however, weaken the opposition. Allegations of corruption, often without evidence, are part of the strategy here. The tabloids in Serbia regularly accuse members of the DS government that was in power until 2012 of corruption. Even if these allegations are certainly partly justified, they are used to discredit political opponents. In addition to accusations of corruption, government media also regularly challenging the loyalty of the opposition and suggest that it is committing treason of the state or nation, particular in Macedonia or the Republika Srpska. parties acts as employment agencies and can thus secure the loyalty of its voters. This reduces the potential for protest as public criticism may result in loss of employment. cooperate. Thus, the willingness of the Serbian government to compromise in dialogue with Kosovo helped to distract from domestic political populism. However, if the rule of law cannot take hold, this will either lead to social protests, as recently in Bosnia and Herzegovina, or to illiberal governments, which seek to preserve their power with populist means, as in Macedonia and, probably soon, Serbia. Monumental Exchange. My hero, your terrorist. A couple of years ago, Benedict Anderson visted Graz to give a talk on Why we believe our nation is good. I had the pleasure to take him on a city tour before the talk. On the Schlossberg, we looked at the monuments to different causes, commemorating resistance to Napoleon and commemorating the so-called “Kärtner Abwehrkampf”, i.e. the conflict between Austrian troops and troops of the State of Serbs, Croats and Slovenes over the border of Carinthia, settled later in a referendum. On this sunny October day, he remarked poignantly that it is probably only scholars of nationalism that notice these monuments, whereas ordinary citizens walk past and ignore these monuments to an era that seems of little relevance today. 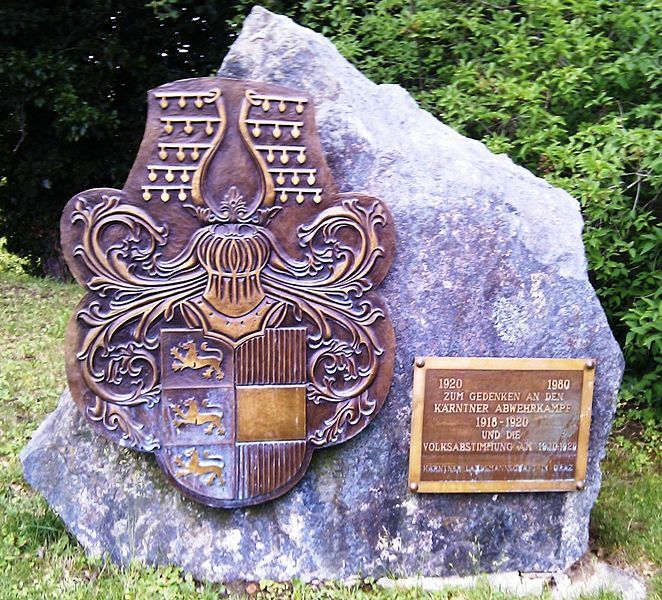 To some degree, this is a relief, as most European cityscapes are littered with tributes in the form of monuments and street names to people whose contribution to the nation seems rather dubious today ( such as Conrad von Hötzendorf in Graz, von Hindenburg in numerous German cities, Gugielom Oberdan –thanks to Gregor Mayer for the hint in Italy). 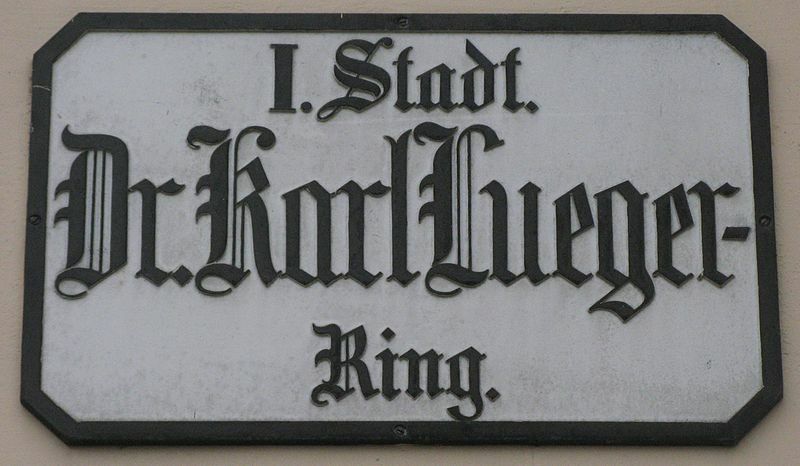 Some of the most odious cases have been corrected, such as changing the name of the Karl-Lueger-Ring, previously named in honor of the the notoriously anti-Semitic mayor of Vienna (famous for the line Wer Jude ist bestimme ich–I determine who is a Jew). While it is desirable to change names of streets or remove monuments honoring anti-Semites and other extreme nationalists of the past, the void also leaves a gap in the history of city when they were honored. In brief, the city can forget its past. Belgradem not for that reason, but due to the contest nature of street names, put up a history of street names on some most prominent streets in the centre. This helps to map the different ideologies dominating, but implicitly also admits that the current name might be just temporary. Now, unlike what Benedict Anderson remarked to me, the discussion over monuments and other forms of commemoration on the centenary of World War One, suggest that the past can attract a lot of attention and controversy (including on facebook). So the initiative build monuments to Gavrilo Princip in Republika Srpska and Serbia triggered negative reactions elsewhere (see article in Der Spiegel and esp. reader comments). While an assassin who killed a person is not a particular positive figure to celebrate, European states more broadly are fond to celebrate murders rather than peace makers (including of course the rider on a horse in Skopje, a.k.a. Alexsander the Great). A good approach to remedy this morbid European habit would be a European exchange program. Let’s exchange the ‘heroes’ of one country with those of another. Why not exchange the statue of Franz Joseph II in the University aula in Graz with a monument to Gavrilo Princip in Serbia, or exchange a street name. 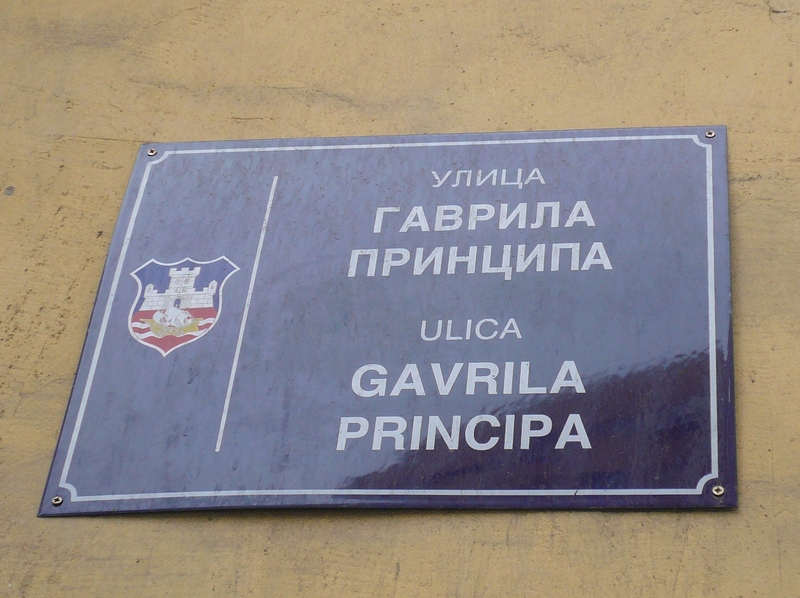 The Gavrilo Princip Street in Belgrade would come to Graz to call the main street leading out of the city to the south, while that street’s name, Conrad-von-Hötzendorf Strasse could migrate to Belgrade, some of the statues in Skopje could go to Thessaloniki or Sofia, nobody would notice them missing and nobody would find them strange there. Ban Jelačić could visit Belgrade, while Knez Mihajlo could travel to Zagreb. Adem Jashari could leave Prekaz for Belgrade, the Eternal Flame in Belgrade (that lasted less an an eternity) could travel to Prishtina. Such exchanges would create unease, but also a need to explain, to justify: one hero in Europe is another one’s nemesis. It would provoke and maybe look more carefully at ones ‘owns’ monuments. Here are some answers for an interview on the protests I gave to the Macedonian daily Dnevnik on the occassion of the conference “Rebellion and Protest from Maribor to Taksim. Social Movements in the Balkans” that will be organised this Thursday through Saturday by the Centre for Southeast European Studies in Graz. What signal are the Balkans sending through these social movements: are they waking up, finally? The protests accross the region, from Maribor to Istanbul show, that civil society is alive and well in many countries. Citizens care about public spaces, are concerned about corruption and austerity and resent the close links between business and politics. Of course, there is great variation in the size of the protests, their duration and their success. I would see the protests in Sofia as the most impressive display of public discontent this year. Their duration is spectacular and their participants are sceptical of the entire political elite, both government and opposition. When the target of the protests is so broad, unlike for example the building a shopping centre in a park as in Istanbul, it is often hard to sustain momentum. There are two clear messages that the protests send. First, citizens do not trust elites, they are seen as not representing the citizens, but private interests. Thus, the message is a call for more democracy and rule of law. Second, in some protests, the economic crisis and the difficult situation many citizens have found themselves in was either a central theme, or a trigger, like high electricity prices in Bulgaria. Overall, citizens in the region have endured much greater economic hardship than elsewhere in Europe without protesting. Economic hardship becomes a key trigger is when the difficult situation is combined with a sense of lack of fairness. 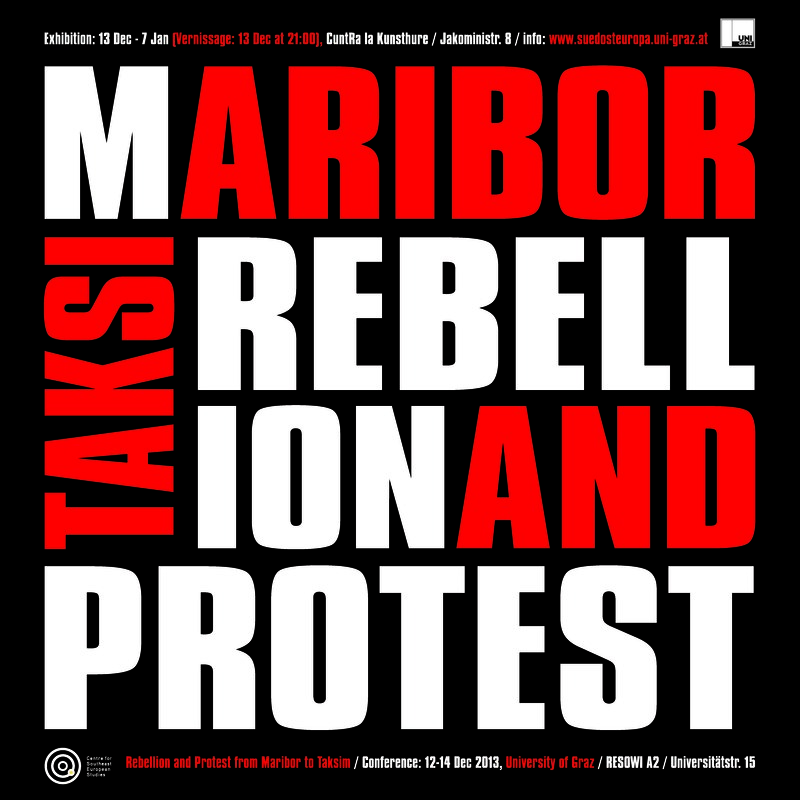 What do all this protests, as you described: from Maribor to Taksim, have in common? Every protest is individual and has different causes and triggers. Yet, there is a larger pattern, that extends of course beyond Maribor and Istanbul: we have probably seen the largest wave of protests over the last two-three years around the world since 1989. These protests have taken place in democracies like Spain or Greece and in dictatorships like Libya and Syria. Most protests have taken place in the European borderlands of the Mediterranean and Eastern Europe (see the current protests in Ukraine). The protests share a sense of frustration with being badly governed and having unresponsive elites. The promise of prosperity and better rule of Europe is close and thus seems possible. This has motivated many protests: the comparison of one’s own government with the possibilities close by. The economic crisis might not always be central to the protests, but the crisis has shed light on corruption and patronage—if there is less money to go around in times of crisis, bad governance becomes more obvious. Do you, as an expert, think that this is the right way for the Balkans to make their “dreams come true”? What if their problems are not solved as they want and insist? Disappointment is nearly inevitable: Firstly, protests movements include citizens with many different expectations. In fact, to be succesful a protest movement usually has to draw from different social groups with varying hopes and grievances. Observers noted that the protests in Istanbul brought together gays and lesbians, Kurdish activists, environmentalists and citizens who had not been previously active. They will all have different expectations of the protests and some will find their demands not met. The success or failure of protests is thus not only a function of whether the immediate demands are met, but rather whether the political environment changes—if those who went to the streets realise that they can achieve change and that institutions are responsive. This dynamic sometimes takes time to be visible. The protests in Belgrade in the winter of 1996-7 first seemed like a failure—Milosevic met the formal demands, but continued to rule like before. However, the revolution of 2000 was unimaginable without these earlier protests. Similarly, the protests in Taksim have been repressed with force by the Turkish government and at the moment it does not seem like they were successful. However, as a banner in Istanbul read, “This is just the beginning!”, “From now on, nothing will be the same again!” We do not know what the next form of protest will look like in Turkey, but it clear that many citizens are dissatisfied with the status quo and demand not just a different government, but a different style of governing—and this is a common feature across the region. In essence, it maintains the German committment to EU enlargement and describes it as a peace project and German and European interest. However, it also points out that the process shall continue “under strict observation of the accession criteria” and later once more “strict criteria and clearly identifiable progress. Essential is both the ability of the candidates to join, as well as the ability of the EU to absorb the countries”. As a result, the coalition agreement suggest that the new German government will pursue the enlargement as in recent years. The multiple references to strict criteria, visible progress and the absorption capacity of the EU all suggest that enlargement will remain difficult and Germany, reflecting the larger tendency of the EU for member states to get invovled in the enlargement process, will assess the readiness of countries seperate from the Commission. Some change is though likely: the composition of the new government has not been announced yet, as the SPD members have to first vote on the coalition agreement, but traditionally the junior partner in coalitions holds the Foreign Ministry. It is likely that an SPD-led Foreign Ministry will be more supportive of EU enlargement than the previous FDP-led ministry. 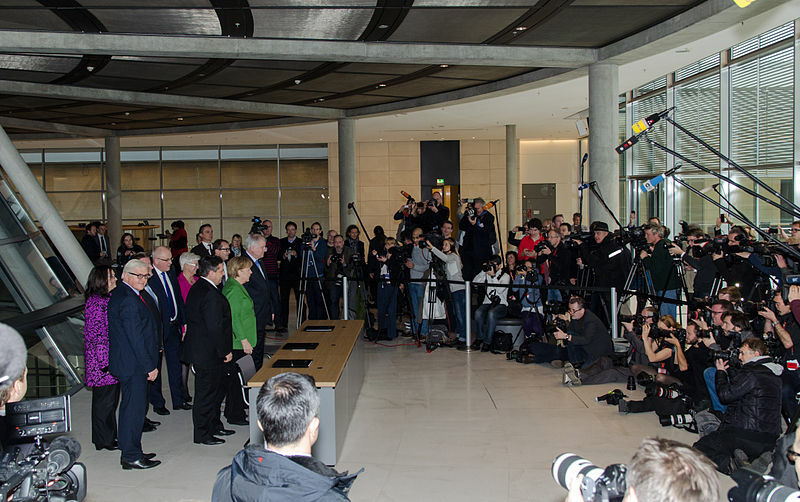 The coalition agreement, however does note, that all EU policy decisisons will be particularly coordinated by the government under leadership of the chancellor and vice-chancellor, so there will be little room for a different policy of the SPD. In addition, the short mention of enlargement does also serve as a reminder that it is a low priority for the new German government. When the protests in Turkey began on the 28 May, what struck me was the centrality of the Mediterranean as the focal areas of social movements in the last two years. In addition to the Arab spring (summer and winter), mass protests were held in Spain, Israel and Greece and Italy is experiencing a crisis of confidence in the established party system. While there, the democratic governments either fall or could/had to absorb the grievance of many, the dictatorships in the southern Mediterranean were not able to. While Turkey is closer to the democracies of the northern rim of the Mediterranean, the response of Prime Minister Recep Tayyip Erdoğan has been more following the authoritarian reflex of its southern neighbors, thereby strengthening the protests. At first, I was struck who the Balkans had been largely ‘protest-free’ in recent years, unlike neigbouring regions. However, recent protests in Bosnia suggest that the social movements against the status quo are now reaching the region as well. Of course, the protests in Sarajevo and other Bosnian cities had other causes as the protests in Turkey or other countries of the Mediterranean, but also share a number of features: the carries are young, urban, feel excluded from politics and government and see now other way to chance the status quo than by protest. What is striking is that the loss of public spaces and parks has been a key feature in small scale protests in the last years in the Balkans: Protests in Banja Luka in June of last year over a park, in Belgrade the cutting down of trees on Bulevar Revolucije earlier and in Tirana also over the destruction of a park. These protests failed to gather the momentum as in Turkey, largely because local politics and national politics had different dynamics, but they highlighted the concern not just for parks, but also for the symbolic loss of public spaces and more broadly a public good to what seems like narrow commercial (and political) interests. Thus the destruction of a park is a symbolic act that carries more significance than “just” an environmental issue, as Orhan Pamuk expressed in his reflections on the protests. The current protests in Bosnia are not about a park, but over the lack of a decision. In a county that is more characterised by decisions not taken and with a prime minister (officially chair of the council of ministers) who claims in his government’s defense that “I think we are not the worst of the world, nor are we a country like Zimbabwe or Somalia”, it is decisions not taken that create most grief. After the constitutional court ruled in February that the current law on ID numbers is unconstitutional the government has been unable to propose a solution, resulting in newborns not being able to receive official documents. This has meant that newborns can’t get passports and are thus unable to travel. When the small baby Belmina Ibrišević needed to travel abroad for urgent medical treatment, but could not get the documents, the lack of a decision became a life or death issue and galvanized public opinion and led to protests. The Bosnian government is notorious for not taking decisions as these are caught between competing interests of the entities and ethnopolitics where the substance of decisions is trumped by the question of who is to be in charge. Next to ID numbers, this is nowhere as obvious as the dispute in Bosnia about veterinary and sanitary inspections. As Bosnian politicians have been unable to agree on who is to implement the inspections, thousands of Bosnian farmers are likely to be unable to export their dairy products to Croatia once it joins the EU next month and more rigid controls come into effect. While here, also the economic survival of many hangs in the balance, it has not mobilized protests as the issue over ID numbers. While I wish he was right, I am more skeptical in my view. Heleen Touquet in her PhD on new social movements in Bosnia: “Escaping ethnopolis: postethnic mobilization in Bosnia-Herzegovina” (for the table of contents, see here) looked closely at groups in recent years that sought to mobilization citizens against the status quo. These efforts have largely failed, because they were unable to build a genuine cross-ethnic constituency or a country agenda that would make it difficult for existing elites to dismiss or ignore them. The new protest have this potential. There are, however, two formidable obstacles: First, how to build an agenda for change that all citizens of Bosnia can rally for. Second, how to translate this movement into a political option. While social movements can set the agenda, change has to come from the political system (unless it is overthrown in a revolution). While there are some parties (like Naša stranka) that aspire to pursue different politics than the currently dominant parties, it is at the moment hard to imagine a country-wide political movement that could be successful and transform the way decisions are taken and how the country is governed. The current political set-up encourages parties to run on mono-ethnic platforms and makes it easy of ethnonationalist parties to sow the seeds of doubt in change.